Rabbits need to chew on things regularly to keep their teeth trimmed and healthy. Wood is a popular and natural choice for rabbit owners but not all types of wood are safe. Before just grabbing that tree branch from your backyard or a chunk of wood from the local lumber yard make sure the wood you are offering your rabbit is safe, free of pesticides, untreated, preferably organic, do not include any roots, and are free of paint. 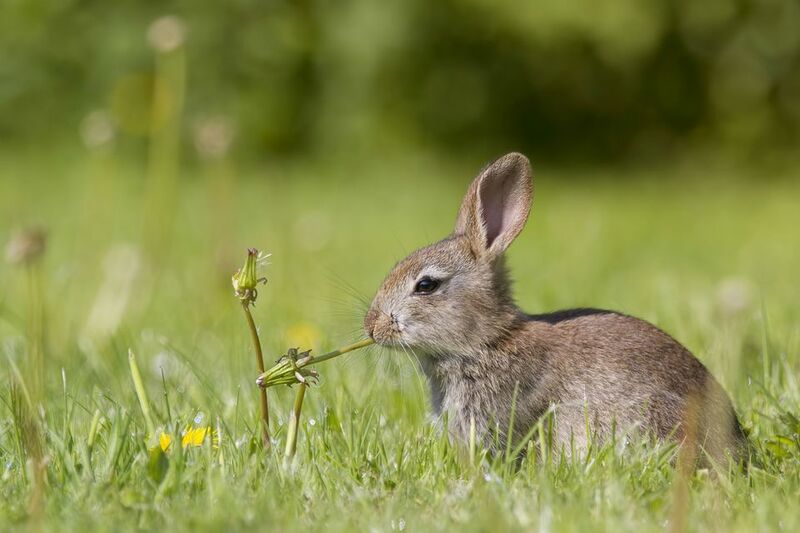 Plants that many people can find in their backyards can also be good options for rabbits to chew on. Check out this list of woods, vines, and other plant materials that are safe options for pet rabbits. *This list is for informational purposes only and the writer cannot be held responsible for any ill effects from consumption. Other safe options are available in pet stores for rabbits. Woods marketed for chinchillas and other rodents are usually ok to offer to your pet rabbit but make sure the type of wood is not on the toxic woods list before putting it in your rabbit's cage. The same goes for the material that his hide box and cage are made out of (if they are made of wood). Any items in his cage are fair game for his teeth to nibble on so you want to make sure they are safe! If you think your rabbit may have eaten a toxic wood, then contact your exotics vet as soon as possible.